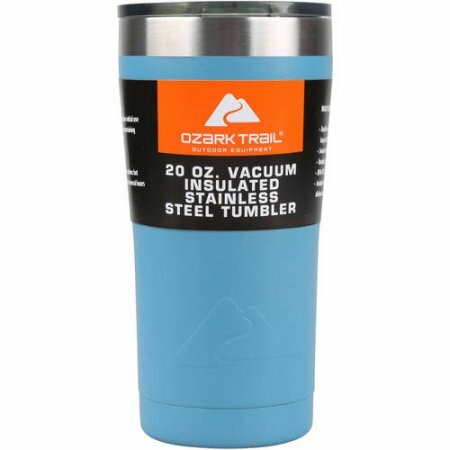 Walmart offers the Ozark Trail 20-Ounce Double-Wall Vacuum-Sealed Tumbler for $6.74 plus shipping. Retail price was $7.74. Choose in-store pick up to save on shipping costs. The Deal – Walmart offers the Ozark Trail 20-Ounce Double-Wall Vacuum-Sealed Tumbler for $6.74 plus shipping. Retail price was $7.74. Choose in-store pick up to save on shipping costs.